Nova Line Permanent Cosmetics is looking for Models for FREE 3D Reconstructive Areola Tattooing procedures on June 1st and June 5th and Scar/Stretch Mark Camouflage on May 31st and June 4th as part of our Advanced Paramedical Workshop. Paramedical Micro pigmentation Workshop in 3D Restorative Areola, Scar and Stretch mark Camouflage techniques presented by Irina Maximova and hosted by Yelena Popova, CPCP and Nova Line Permanent Cosmetics. Don’t miss a chance to learn this Advanced Paramedical Micropigmentation Techniques designed and performed in the best European permanent makeup traditions by Irina Maximova with the use of her Soft Shading Technique. This Advanced workshop is intended for qualified and experienced technicians only. Nova Line Permanent Cosmetics is a leader in providing of the advanced permanent makeup services and training programs available on Canadian market. During the private or semi-private training with hands on approach and personalized attention you will learn all important skills and the newest techniques needed to be successful in permanent makeup business. Nova Line Permanent Cosmetics strives to contribute to, and improve permanent makeup industry by making sure each student graduates with highest amount of knowledge and skills to excel in their career. Learn the advanced techniques from the scratch to be the best in the industry! 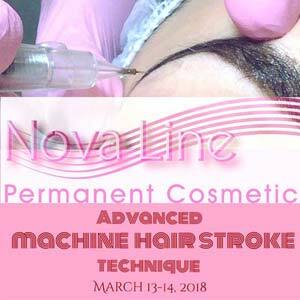 NOVA LINE PERMANENT COSMETICS PRESENTS PERMANENT MAKEUP COURSE IN ADVANCED PERMANENT MAKEUP TECHNIQUES. 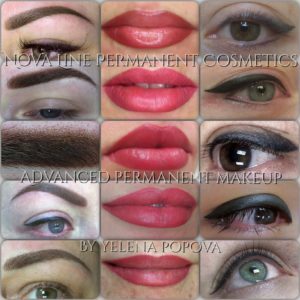 THE MOST ADVANCED WORKSHOPS IN PERMANENT MAKEUP SOFT SHADING TECHNIQUES!